It was perhaps the most visual campaign period ever. Jesse Klaver was the first Dutch politician with an image-advisor, someone who makes him appear well on camera and takes care of funny Instagram posts. But last months almost all parties realised that a creative image policy is a very important part of their campaign. 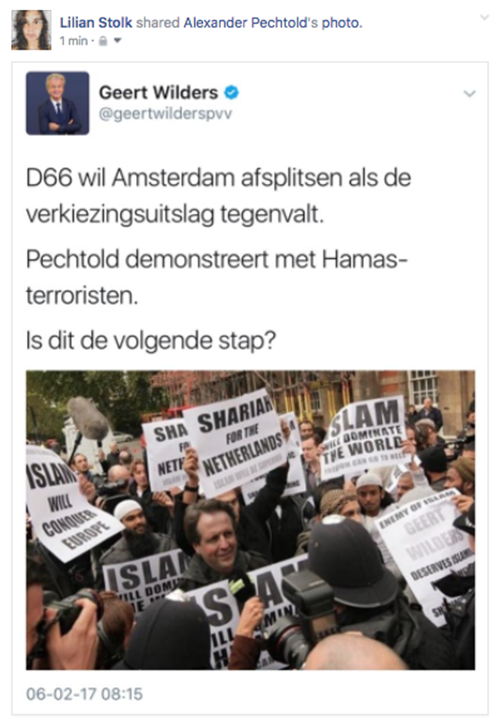 Geert Wilders photoshopped opponent Alexander Pechtolds head in a demonstration of Muslim extremists. Not a very creative example of fake news, but a wonderful example of the power of images, especially after Pechtolds reaction in words. When my Facebook friends shared Pechtolds defence, I first saw Wilders’ fake news photo and had to click on ‘read more’ to be able to read the whole message. Which I obviously didn’t. It shows that social media is pushing images and long textual messages almost don’t make sense anymore. It’s interesting to see that parties uses each others design to attack each other. 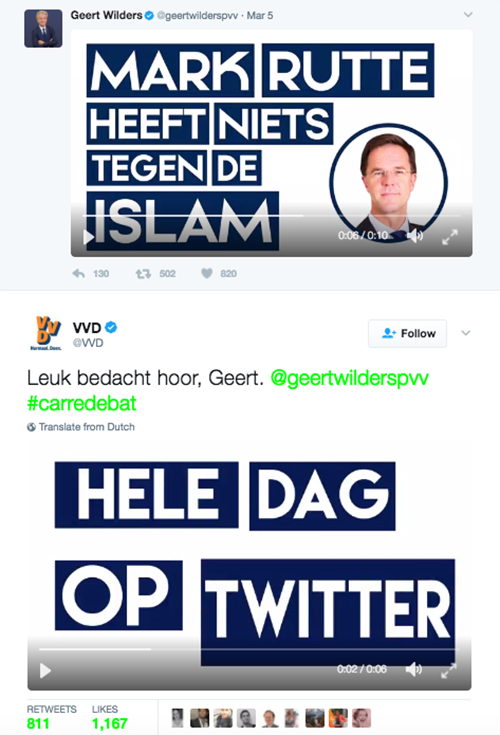 VVD did it to PVV and Groen Links to VVD. Most parties claimed their own emoji on Twitter. VVD emphasised optimism via 👍💪, optimism Groen Links’ favourite emoji 🍀 not only suits their green focus but is also a translation of the name of the leader (coincidentally?) and PvdA members not only share roses in real life but also 🌹 on Twitter.